Winnie with Second Canadian Infantry Brigade HQ Staff. Valcartier, Quebec. 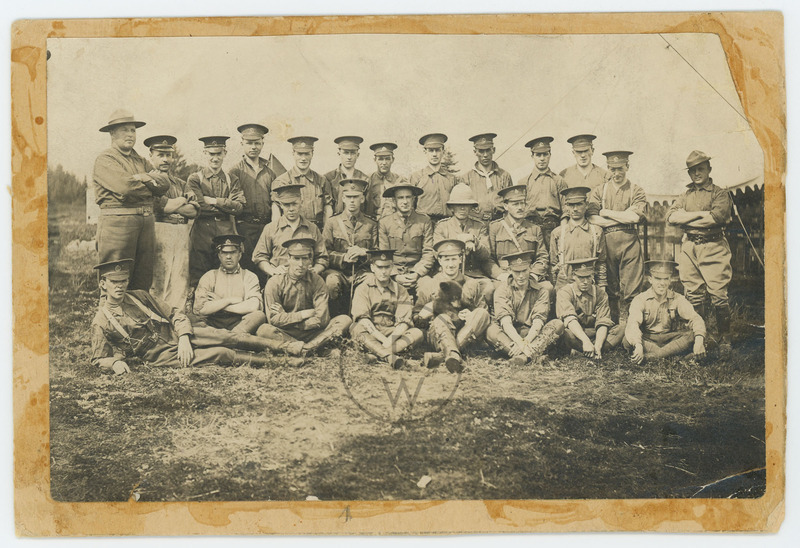 Card: to the left of the photo: Lt. Harry Colebourn - middle row sitting, second from the left. Winnie, bear cub is being held by soldier friend. “Winnie with Second Canadian Infantry Brigade HQ Staff. Valcartier, Quebec.,” Remembering the Real Winnie: The World's Most Famous Bear Turns 100, accessed April 25, 2019, http://therealwinnie.ryerson.ca/collection/items/show/49.